Please use these questions to encourage class discussion, guide examination questions, and/or share with students in course materials to help prompt deeper reflection and thinking. Addressing the historical setting of Jesus’ career and of the Gospels and their earliest audiences, this chapter emphasizes the importance of their location within the Roman Empire. How does this fact of empire shape the Gospels’ presentations of Jesus’ life and activity? What symbols, practices, and social institutions gave first-century CE Jews a sense of being one people, despite the diversity among them in geography, culture, beliefs, and practices? 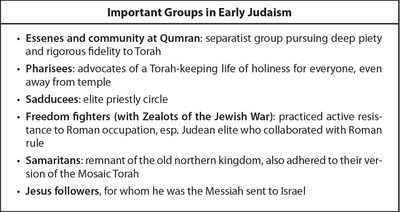 This chapter provides a brief sketch of the various groups that composed Judaism in the time of Jesus and the Gospels. Which of these groups do you find especially interesting or attractive? Why? Are there reasons why the information given about this group in the New Testament Gospels is incomplete or perhaps misleading? Explain your response. Online dictionaries routinely define “Pharisaism” like this: “rigid observance of external forms of religion without genuine piety; hypocrisy.” The entry by Matthew Black on the Pharisees in the Interpreter’s Dictionary of the Bible (Nashville: Abingdon Press, 1962) describes it as a “largely arid” and “sterile religion of codified tradition, regulating every part of life . . . observing strict separation, and as entrenched in its own conservatism as that of the Sadducees” (3:781). 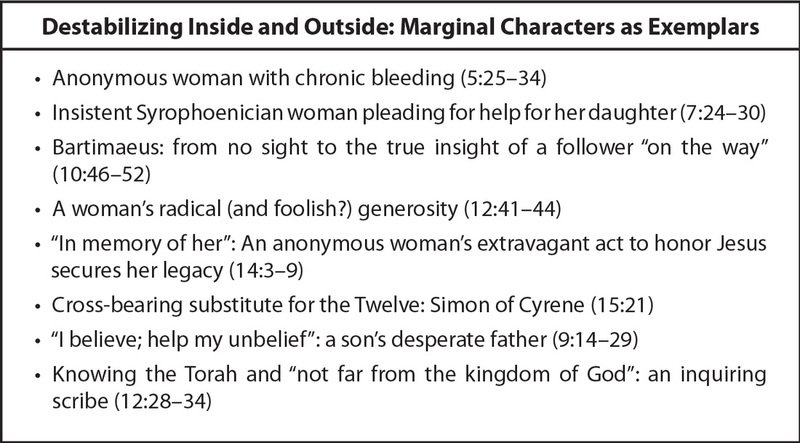 From the perspective of a Pharisee, critique these definitions. How would you defend yourself against these impressions and redefine your concerns and commitments? Here you will find the text boxes from Jesus and the Gospels that may be incorporated into presentation materials. You may right-click to save the file to your computer. Click on any image to view the larger version. Why do scholars find it difficult to agree on a description of the historical activity and message of Jesus of Nazareth? What complicates historical study of Jesus? At this point in your studies, what do you think was at the core of Jesus’ activity and message? 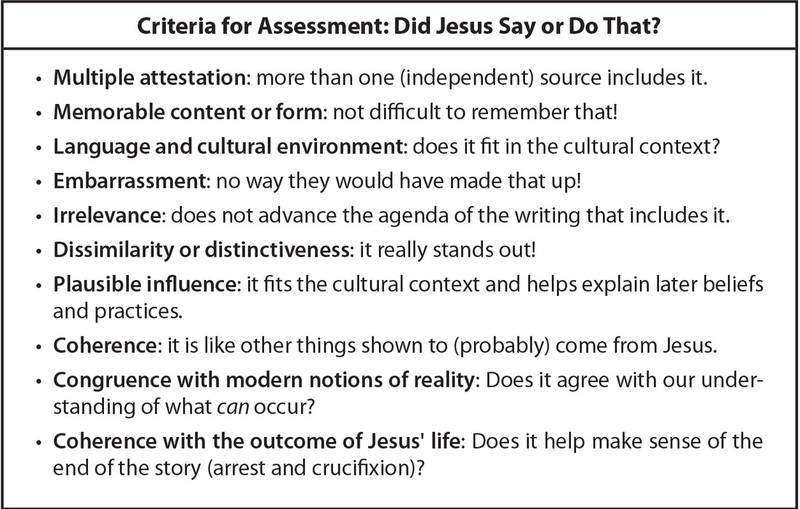 List as many of the criteria or tests that scholars use when evaluating the historical value of particular pieces of the tradition about Jesus (e.g., sayings, actions, or events). Which ones seem to you to be especially helpful? Which ones are you not so sure about? What impression of Jesus do you form from the extracanonical Gospel of Thomas? How is this like and unlike what we encounter in the New Testament Gospels? 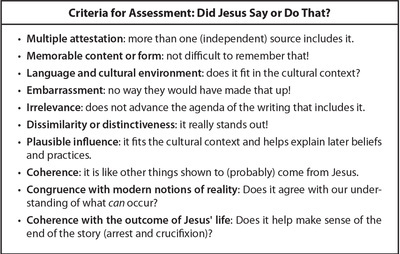 How do you respond to the brief sketch of the historical career of Jesus in this chapter? What would you want to add, subtract, or revise in this sketch? What is a “Gospel”? Do you think the same genre label applies equally well to all four of the New Testament Gospels, or would you assign different genre designations to one or more of them? Why? What difference does genre—the kind of writing a “Gospel” is—make in how you read it? This chapter’s discussion of the “Synoptic Problem” mentions three explanatory models of the literary relationships among Matthew, Mark, and Luke for which there are serious advocates today. Give a concise summary of these three models, and make a case for the one you find most attractive or convincing. What is the aim of text criticism? Why is it necessary? What are some of the basic “rules of thumb” for evaluating and deciding on these textual variations? This chapter discusses a wide array of interpretive methods that have arisen in recent study of the Gospels. Identify one of these approaches that you find especially appealing or compelling. Explain the approach and indicate why you are drawn to it, why you think it works especially well in the reading of the Gospels. As you prepare to leave this first part of the study of the Gospels, what fresh insights and new discoveries have you gained? What questions do you still have? 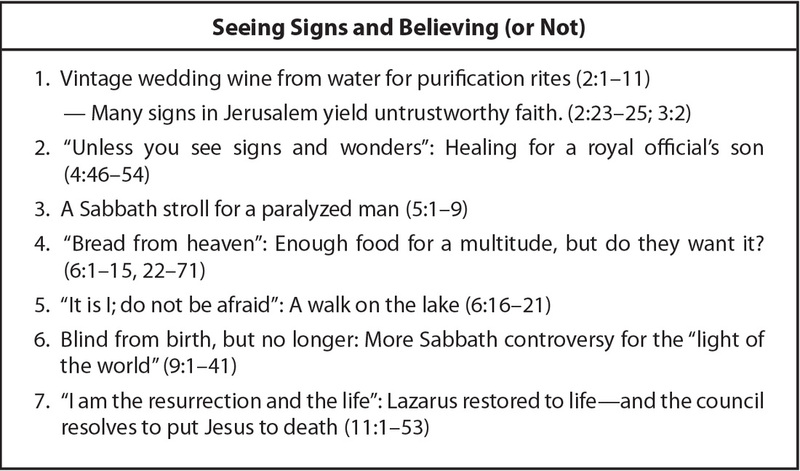 Here you will find the text boxes found in Jesus and the Gospels that may be incorporated into presentation materials. You may right-click to save the file to your computer. Final text box images will not be available until October 2016. Below is a sample from chapter 1 of uncorrected proof pages. Click on any image to view the larger version. The “way” is an important image or motif in Mark’s narrative (e.g., 1:2–3; 10:32, 46–52). How do geography and journey shape Mark’s telling of the story? What happens in the central, transitional narrative that begins at 8:22 and ends at 10:52? What does Mark’s audience learn about Jesus’ vocation as Messiah? About the disciples’ vocation? About their “performance” as disciples? Speaking of disciple-performance, does Mark’s Gospel “discredit” the original company of disciples? Do you as a reader identify with these characters or do you find yourself distanced from them? 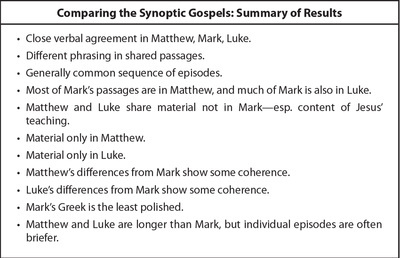 How does Mark’s use of the narrative techniques of repeated scenes and intercalation of scenes contribute to the reader’s construction of meaning—i.e., to readers’ interpretation of, and response to, the character and mission of Jesus and the character and activity of the disciples? How does irony play a role in the telling of Mark’s story? Where do you see irony at work (or play!) in Mark’s account of Jesus’ “passion” (arrest, trials, and crucifixion)? How does the participation of marginal characters contribute to Mark’s story about Jesus and about the diverse ways other characters respond to him? What do you make of the “mystery” or “secrecy” motif that is so prominent in Mark’s narrative? Why is there mystery? Is it supposed to be permanent? What sense do you make of the ending of Mark? Does the “original” ending of 16:8 bring effective closure to the story Mark has told? How does this “open-ended ending” draw readers into the story? What does the Gospel according to Mark—a story so centered on death and crucifixion—have to do with gospel (“good news”), which Mark 1:1 suggests is the focus of this narrative? As you think about the way plot and characters interact in Mark, how does the reign of God generate conflict? How does this conflict play out differently for the various characters or character groups in the narrative? How do you respond to the treatment of “gender analysis” in this chapter? Does attention to gender roles help you come to fresh insight into Mark’s story of Jesus? Gospel beginnings are important, giving guidance to the reader in how to hear the story that follows. How does Matthew begin? What does Matthew convey about Jesus, and about the Gospel narrative, with the genealogy of 1:2–17? What features of Matthew suggest that it was written from and for Jewish communities in the last third of the first century CE? Why does the narrative contain so many images of conflict and intense debate about Jewish life (beliefs and practices)? One of the hallmarks of Matthew’s Gospel is the presence of five—or is it six?—major discourses of Jesus. List these discourses, and identify the central theme of each. Does Jesus teach in other ways and places in the Gospel? 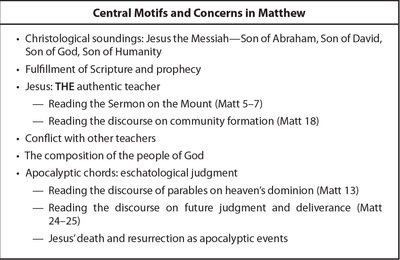 What are the central concerns of Jesus’ teaching in Matthew, and how are they like and unlike Jesus’ teaching in Mark? If the Sermon on the Mount provides a window into the life and practice of the Matthean community, what does it look like? Does this discourse in Matthew 5–7 portray a doable vision of life in the world? Or an ideal—unattainable—to which we must ever strive? Or….? 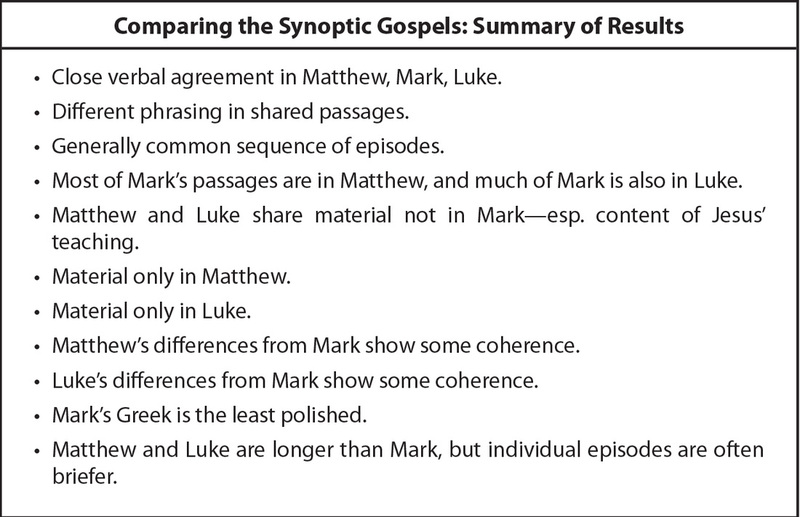 How does Matthew revise the portrait of the disciples in comparison with Mark’s narrative? Does this “new and improved” portrait relate to the disciples’ future role, as Matthew 28:16–20 projects it? How so? 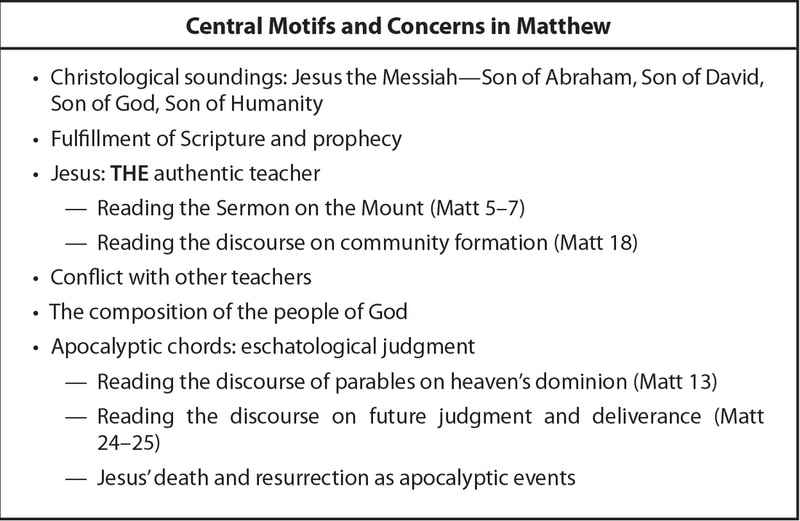 Why does Matthew emphasize the theme of “prophecy and (scripture) fulfillment”? How does that feature of the narrative contribute to its portrait of Jesus? What does the community of Jesus’ followers look like, according to the discourse in Matthew 18? How do mercy/forgiveness and accountability/judgment interact in this passage? In An Introduction to the New Testament: History, Literature, Theology (Louisville, KY: Westminster John Knox Press, 2012), M. Eugene Boring writes: “Matthew is supremely interested in ethics, by which he means [doing] the will of God” (542). Do you agree? Why or why not? What does that ethical vision look like? How do you hold together—or in creative tension—Matthew’s picture of God as merciful, expansively gracious and the picture of God as severely judging, punitive? Can you pick one of the two and ignore or discard the other? Which of these two aspects of God—grace/mercy or judgment—do you find yourself drawn to, or repelled by? Why? Which of the two “contested readings” of the parable of the sheep and the goats (Matt. 25:31–46) do you find more convincing? Why? Readers of a story generally seek to find or create meaningful coherence as they proceed. Yet this chapter identifies several thematic tensions that seem to raise a question about the coherence of the narrative. 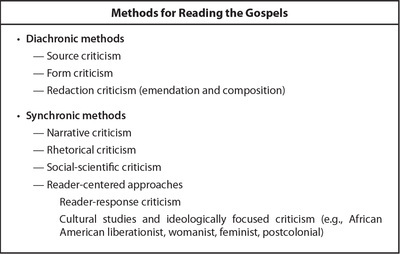 Pick one of these tensions and develop your own approach to the challenge of reading Matthew in light of it. This chapter points to a number of ways in which Luke’s narrative departs from the narrative design and sequence of Mark. List some of these. 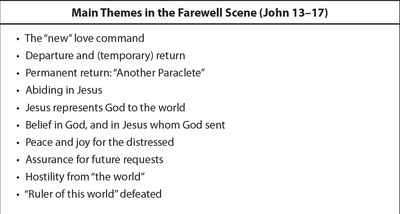 How are these changes in episode sequence meaningful for readers’ experience of the story of Jesus’ public activity? “Luke’s Gospel highlights the ‘great reversal’ that comes when God brings salvation to God’s people.” Do you agree with this reading of the Gospel? Why or why not? How do both vertical and horizontal reversals figure in this narrative? A distinctive feature of Luke’s Gospel is Jesus’ repeated meals at the home of Pharisees. What happens on those occasions? What do readers learn about Luke’s portrait of Jesus, and of the Pharisees, and of God? Speeches are prominent in Luke’s narrative and guide readers in recognizing important concerns and values. This chapter discusses the pattern of “interrupted speeches” and “interior monologues” within parables and stories. 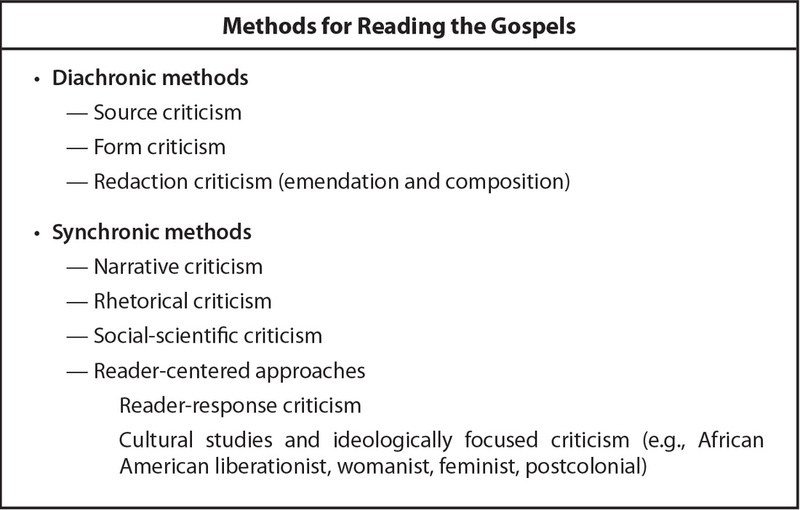 How do these features of the Gospel help readers discern meaning? The chapter also discusses Luke’s penchant for “open-ended stories.” Identify a few examples: how does experience of these open-ended stories draw readers into the narrative? Scholars have noticed that women play a more prominent role in Luke than in the other Synoptic Gospels, but they differ in their assessment of that role. Some find in Luke a concern to challenge the marginalized status of women in society, while others think Luke “keeps women in their place,” assigning them only conventional social roles in his narrative. What position would you take on this question? Why? What are the implications of your analysis for contemporary life and society? No Gospel is “richer” than Luke when it comes to the theme of possessions, or poverty and wealth. How does Luke use this theme to focus human responsibility (or the demands of discipleship)? Is Luke’s story consistent in its approach to this theme? How might wealthy members of Luke’s audience respond to the development of this theme in the narrative? Persons who lack access to economic resources? Re-read Luke 5:27–32; 7:36–50; and 15:1–32. 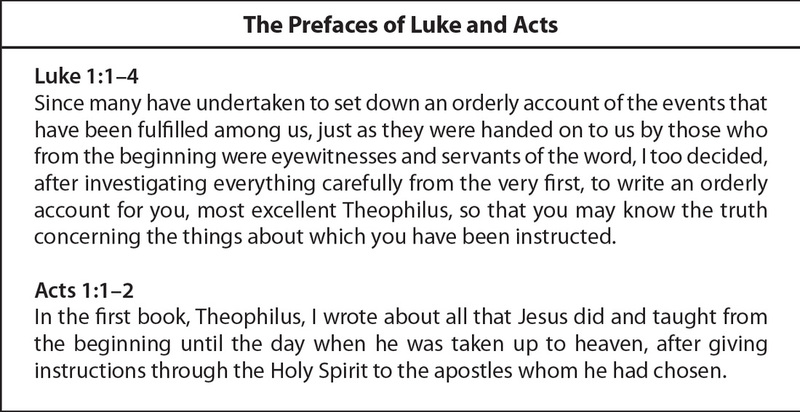 In these passages of Luke’s Gospel, how does Luke portray Jesus and the aims of his ministry? What responses does his activity provoke? How do you respond to this characterization of Jesus? 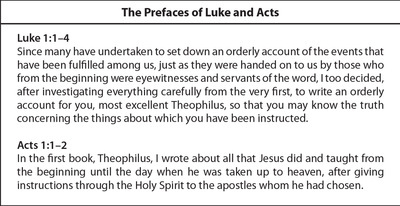 Do you agree with the view that Luke 4:16–30 presents an “inaugural scene” for Jesus' ministry in Luke? Why or why not? Do you agree with the claim that this passage pictures Jesus pledging to fulfill the program of social justice that is part of Israel’s vocation? Do you see this happening in Jesus’ ministry in Luke? If so, where and how? Samaritans have a small yet important role in Luke’s Gospel. What are they doing here? What points does Luke score with their presence in the story, or in Jesus’ parables? With all the attention to meals and banquet scenes, what does this Gospel have to say about the theme of hospitality? How does this theme color the portrait of Jesus, and of God, and of the role of Jesus’ followers? There has been much debate about the way in which Luke’s narrative depicts the Roman Empire. Is it a matter of cooperation, capitulation, subversion, or ambivalence? How do you read the story? John’s presentation of the public ministry of Jesus differs in many significant ways from the synoptic accounts. Summarize the chief points of difference. How do you explain the similarities and differences between John and the other New Testament Gospels? “The opening section of the Fourth Gospel (1:1–18) is like an overture, sounding the important themes of the narrative that follows.” Do you agree? Why or why not? What do readers learn about Jesus and his mission in these opening verses? In contrast to Mark’s “messianic mystery” theme, John’s first chapter explicitly develops the identity and significance of Jesus. What do readers learn about him in 1:19–51? How do chapters 3 and 4 of the Fourth Gospel offer the characters of Nicodemus and the Samaritan woman as contrasting responses to Jesus? 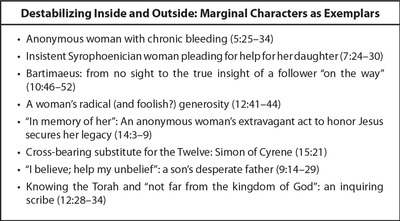 What do you make of the development of the character of Nicodemus in chapters 3, 7, and 19? John makes frequent use of the literary pattern of misunderstanding, in which Jesus speaks (often in riddles), characters misunderstand what he says, and Jesus then speaks further in response. Can you think of an example or two of this pattern? What effect does this repeated pattern have on readers? How do Jesus’ voice and perspective in John’s Gospel stand apart from the way the other Gospels present his speech? What claims does he make for himself in John? Identify the various ways in which Jesus uses the phrase “I am” in the Fourth Gospel. What claims is he making for his identity, role, and activity? What responses do his claims prompt in characters who hear him? J. Louis Martyn (History and Theology in the Fourth Gospel, rev. and expanded ed. [Louisville, KY: Westminster John Knox Press, 2003]) reads John 9 as a two-level drama: Jesus’ interactions with the man born blind (and that man’s interactions with his parents and the Pharisees) open a window onto the Johannine community’s interactions with the Jewish community in its environment. Do you see hints of such a two-level drama in the episode? What does John’s account of this healing and the controversy it generates suggest about the situation of John and his readers? 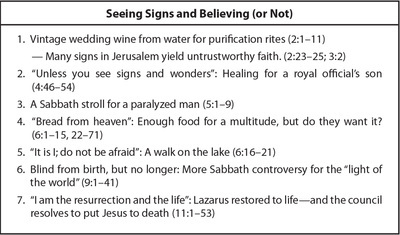 In John’s Gospel, Jesus performs only a few “miracles”—signs. What do these signs reveal? What responses do they prompt from other characters? How do you respond to the polarities that are so prominent in the Fourth Gospel? Where does this seeming dualism place the reader? A prominent motif in John’s Gospel is the “hour.” What is Jesus’ hour, and how do the repeated mentions of its coming function in the narrative? This chapter sketches the dramatic seven-scene encounter between Pilate and Jesus. How do you evaluate Pilate’s performance in chapters 18 and 19? Who is really “on trial” in these chapters? How can Jesus’ crucifixion in John’s Gospel be not an event of defeat and disgrace for Jesus but a moment of supreme honor? What do you make of the apparent rivalry between the Beloved Disciple and Simon Peter in chapters 13–21 of John? What distinct roles do they play? 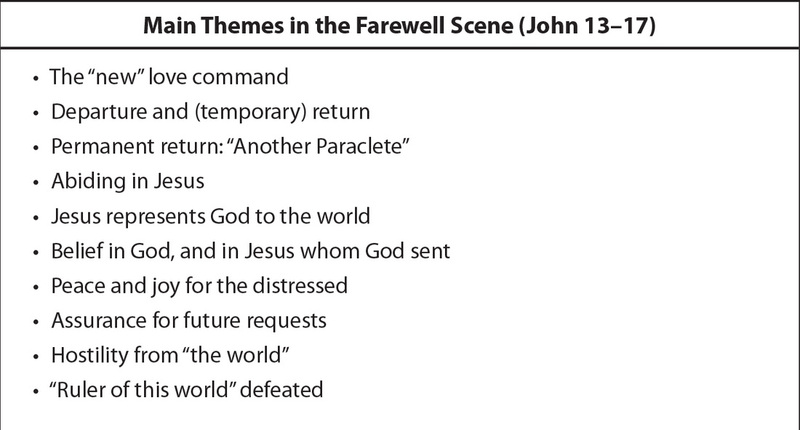 Many read in John’s Gospel a “realized eschatology.” Do images like “eternal life” and “judgment” focus entirely on characters’ encounter with Jesus in the present, or are some things left to the future? Do you think “doubting Thomas” is an unfair label for that character in John’s narrative? How do you evaluate his role in the story? As you reflect on your study of the New Testament Gospels, are you more impressed by the differences and variations among them or by themes and perspectives that they hold in common? What would you identify as especially significant concerns or emphases in these writings? This chapter identifies and briefly discusses several challenges of life in the twenty-first century. Which one of these is of greatest concern to you? How does your study of the Gospels inform your thinking about this topic? In what ways do the Gospels provide a resource? Are there ways in which they are problematic? How might the Gospels’ presentations of Jesus’ words and actions inform your thinking about relations toward others who are different from you and from the groups with which you most closely identify? The Gospels have much to say about poverty and wealth. How does the development of that theme in these narratives speak to our own place and time? Narrative beginnings are important, as they shape reader expectations for the story to come. Each of the New Testament Gospels begins in a distinctive way. Briefly describe these four different ways of opening the narrative. To what characteristic features of each Gospel’s story, portrait of Jesus, and message do these beginnings alert us? How do they guide a reader’s response to each narrative? If a friend—who has listened ever so patiently as you have talked about your studies over the last few weeks—expresses puzzlement over the fact that these four Gospels begin in such different ways, wondering what to make of this, how would you respond? Just as important are the ways stories end. Comment on the scenes that conclude Mark, Matthew, Luke, and John. In what ways are these scenes appropriate conclusions to each narrative? If a friend who has listened as you have talked about your studies over the last few weeks expresses puzzlement over the fact that these four Gospels have such different endings, wondering what to make of this, how would you respond? In all four canonical Gospels, the death of Jesus has great importance, yet the Gospels narrate and develop the meaning and significance of his death in varying ways. As you reflect on these four narratives, what strikes you as especially distinctive about each Gospel’s presentation and interpretation of Jesus’ death? Imagine that you live in a community in which the local synagogue has been subjected to a campaign of harassment and even, just last week, arson. The perpetrators of these acts have not yet been identified. It so happens that you have been thinking a lot about Matthew’s Gospel, especially passages such as Matt. 21:33–44; 22:1–14; 23:1–36; and 27:24–25. How do you make sense of this aspect of Matthew’s Gospel in connection with this contemporary challenge in your community? How would you frame an ethical response to this Gospel’s reading potential to foster hateful attitudes toward Jewish people? The same set of questions and concerns pertain also to your reflection on John’s Gospel. As you reflect on your study of the Gospels over the last few weeks, what stands out as new insights or surprising discoveries? What would you like to learn more about? What engaged your attention the most as you studied this Gospel, and why? What has this Gospel contributed to your understanding of Jesus and his activity, and also to your thinking about important issues and concerns of life today? What concerns or questions you would like to discuss further with this Gospel’s author if you could?